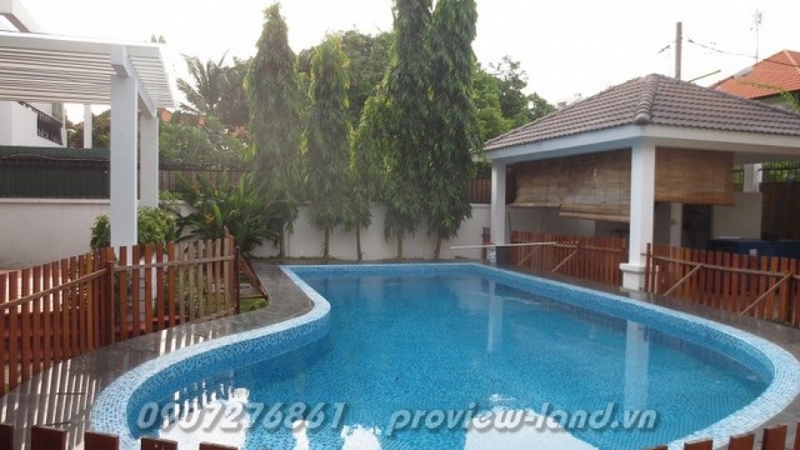 Villas for sale in Tran Nao street, district 2. It has an area of 555m2 including 1 ground 2 floors with 5 bedrooms, very big bedroom, bancony overlooking the pool, the rooms have bathrooms inside, beautifully designed. It's on in the southwest. Villa has swimming pool in front.